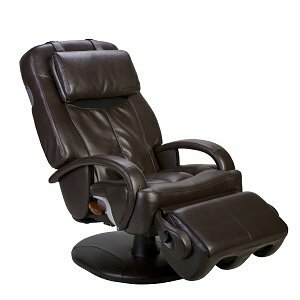 Buying a massage chair for your home is an indulgence that you will not regret, especially if you go with the Human Touch brand. Trusted for over 20 years for their chairs and other massage products, Human Touch blends advanced technology, beautiful design, and absolute quality into each of their products. Massage chairs can treat you to powerful relaxation any time you need it, turning your home into a sanctuary with the push of a button. These chairs are ideal for anyone that needs a little extra support to melt away tension and stress in tired or aching muscles. 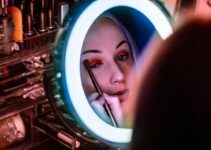 In our busy modern lives, going to a masseuse even weekly can be a logistical and financial impossibility. Investing in a massage chair guarantees that you won’t be sacrificing that vital time to unwind. All of this relaxation can be yours on a daily basis while you enjoy the company of your friends and family. Massage can be therapeutic for body and mind, boosting your circulatory system as blood flow improves to your entire body.With a range of options and prices, everyone can find a way to benefit from a Human Touch massage chair. Here are just ten of our favorite options from their collection. 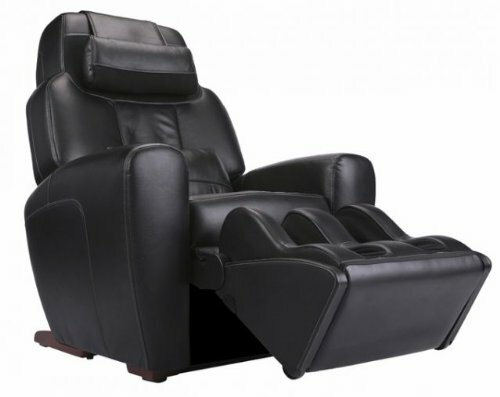 The HT-5040 massage chair fully reclines to a near supine position, offering you full body stretching. This chair has a robust design that will keep you feeling fully supported no matter your size. It features five massage techniques: rolling, kneading, percussion, compression and the combination kneading and percussion massage technique. There are three uplifting massage programs and you can even take advantage of a foot and calf massager. This well-sized chair comes in black, espresso or butter coloring and is covered in a leather like vinyl upholstery. This fantastic chair has a classic design and the most advanced technology Human Touch offers. It comes in a range of great color options which makes it versatile for any room. In fact, you don’t need to pick just one room, use the built-in wheels for easy mobility. The ability to easily move the chair and the convenience of the built-in power outlets make this a great choice for an office environment as well as the home. 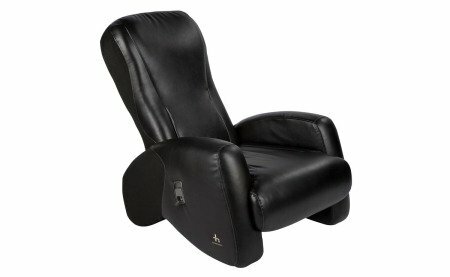 Relax while you watch your favorite program or check your email while your computer, phone, or other device charges from the armrest cupholder. 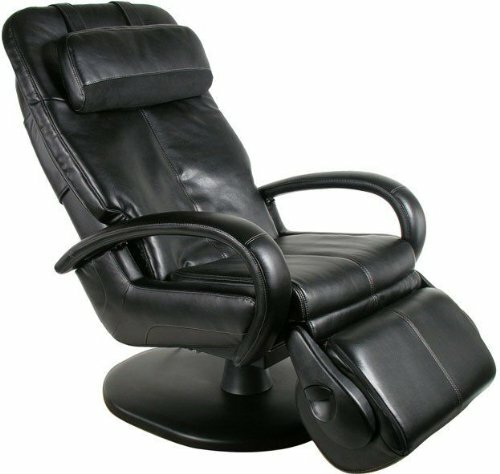 The massage options offer you three ranges of comfort and the entire chair has a power-reclining option that lets you fully relax while the chair reclines to a 170 degree angle. 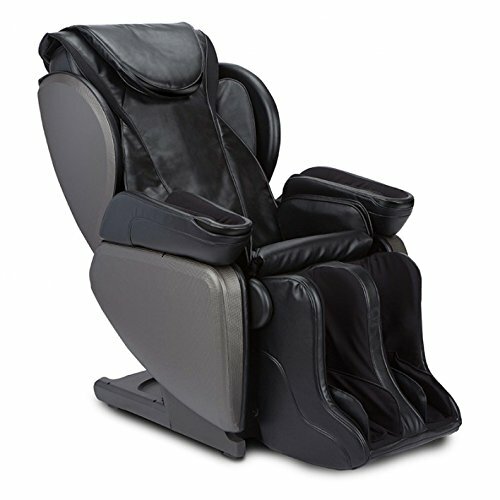 There is nothing to do but sink into this opulent massage chair. It features Human Touch’s Smart 3D massage engine that expertly mimics the therapies of the chiropractors who helped design the technology. Coming in three color options, bone, black, and espresso, this chair truly gives a high class style to any room. Relaxation is just moments away once you sit down, recline to zero-gravity, and point to any painful problem areas on your body with the BodyMAP Pro Immersion Director remote. 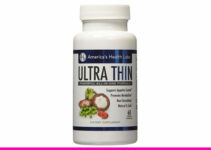 It is capable of pin-pointing specific pressure points and treating your most tender aches and pains. With the iJoy Active 2.0 model, Human Touch delivers more accessible comfort at a reasonable price. It’s a perfect choice for a smaller living spaces such as apartments or dorm rooms with its compact yet stylish design. It would be a terrific pick me up in a college housing situation where it could be shared amongst many students who need some relaxation from their studies. This chair is able to fully rejuvenate muscles in your neck, shoulders, and back with FlexGlide orbital massage technology. It’s also attractive enough to fit into any decor and provide with two-toned color options of either bone/gray or espresso/gray. For a chair that can handle problem areas on your entire body, look no further than the “WholeBody” model from Human Touch. 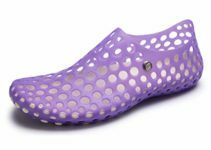 Anyone with pain in their feet and calf area will feel relief with the proprietary Figure Eight Technology targeting those regions. It also features five auto programmed massage techniques for the neck and back areas. 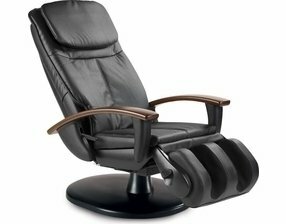 Unique to this chair is also the soothing warm air technology that flows continually to the lumbar area, designed to mimic the benefits of a warm oil massage. The chair swivels 55 degrees from the base, making it a good fit in any room and comes in bone, black, or espresso color options. This robust whole body massage chair features the most advanced robotic massage system available. Your feet and calfs will feel the strong relief of massage with a three-dimensional kneading that can alleviate sore and tired muscles. With a new stretching massage mode and a fully customizable program, you can target every pain in your body with any one of the three well-designed 15 minute therapy sessions. Coming in up to six different variations of black and espresso, this chair is unassumingly stylish despite its professional capabilities. Enjoy a massage that invigorates and encourages oxygen rich blood flow from your head to your toes. 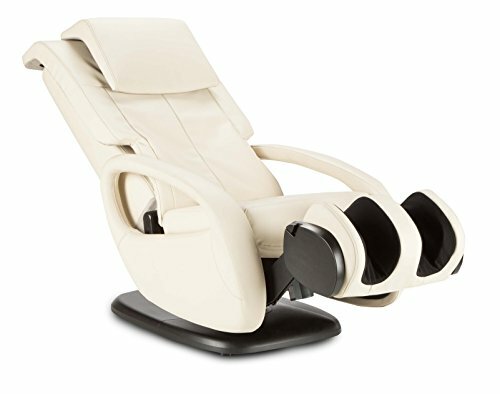 The AcuTouch 9500x is one of the most premium massage chairs made today for customers that want only the best in luxury materials and comfort. The large chair can accommodate people of any size with ease and is upholstered in genuine leather. 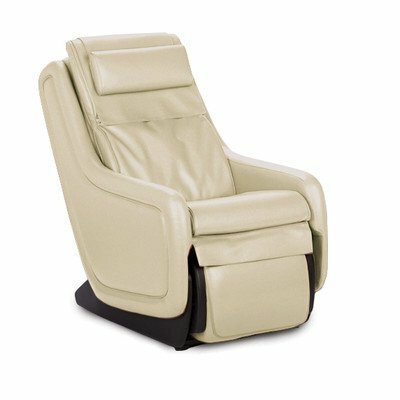 As you sink into it’s ample frame, you can enjoy comfort control with the remote control, customizing the intensity of your massage. Like a skilled masseuse, the Acupoint Detection system targets key pressure points along the length of the back, allowing you to fully customize a massage that comforts you from head to toe. The feeling of real leather will make you thankful every time you sit down that you treated yourself to this premium option. The iJoy 2310 is a modestly priced yet beautiful and ergonomically designed chair that fits in to any decor and will make you feel as amazing as it looks in your home. The classic lines of this chair and contrasting upholstery make it aesthetically pleasing even without the amazing massage features. 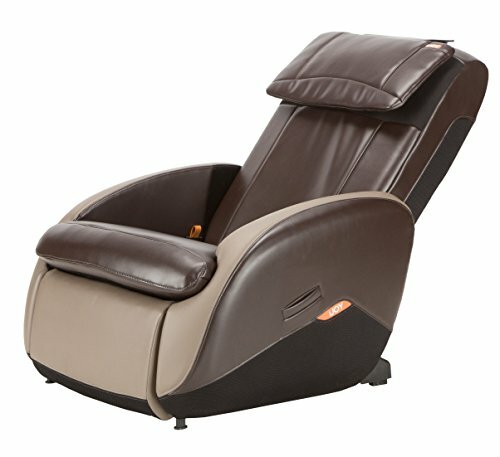 As soon as you sit back and pull on the reclining handle, you can enjoy any of the three invigorating massage programs. 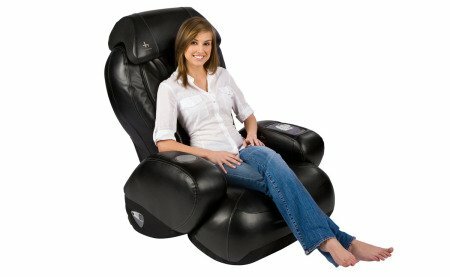 Drawing from four expert massage techniques per program, this chair can quickly lessen stress from tension and muscle injury. By the time you’ve gotten reclined to a 170 degree angle, you’re aching neck, back and shoulders will be long forgotten. The design and appearance of the “Navitas Sleep” Full-Body Zero-Gravity Massage Chair make it an option best suited for the home. Don’t get me wrong, it would be a fantastic addition to a workplace in which employees suffer from tight deadlines or long hours, since just 15 minutes of massage per day will leave you feeling refreshed and relaxed. However, this incredible chair, in its extensive 36 wellness programs has numerous that are designed to send you to sleep. That’s not something that would help the deadlines in the office. This chair is designed to give an invigorating massage with its 4D Rhythm Massage Technology, and is the first chair to bring you a zero-gravity massage effect. Premium leather upholstery and completely customizable massage programs will leave you feeling pampered and revived. The Navitas Sleep Massage Chair has the most auto programs available from any chair in the world, and on top of this there are 8 memory positions for you to save your favourite programs. Another great feature of the Navitas Sleep 4D Rhythm Massage Chair is the Acupoint Optical Scan. This feature will scan the complete layout of your back, neck and shoulders, to pinpoint specific pressure points to target. That is one impressive feature indeed. The Thermo Stretch 7120 delivers powerful warming action that perfectly compliments the five professional massage techniques it offers. Choose from rolling, kneading, compression, percussion, and kneading plus percussion. Enjoy relief from head to toe with the foot and calf massager which soothes aching calves with an upward, rolling motion. Massage to the feet and lower legs allows proper circulation and nutrient rich blood to re-enter through the calves. The Thermo Stretch offers dual lumbar heat modules that gently heat the lower back and aid in reducing tightness and pain. This heated therapy is not only soothing and helps prepare your muscles for a restorative massage, it also encourages additional blood flow that can reduce inflammation and restore balance to an overtired body. A fully customizable massage is controlled my massage comfort control, allowing the user to adjust intensity.